GEORGETOWN - It’s a done deal. Exxon Mobile Corporation is moving full speed ahead with its multi-billion-dollar investment which will essentially transform Guyana into the world’s newest oil-producing country. 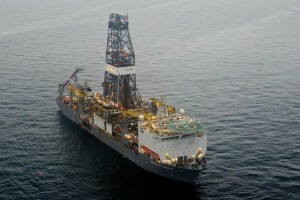 With the Government’s regulatory approval of the deal and the issuing of the production licence last week, the United States oil giant said it was ready to proceed with the phase one development for the Liza field that has been described as one of the largest oil discoveries of the past ten years. The field, which is part of the Stabroek block, is located offshore Guyana and measures 6.6 million acres, or 26,800 square kilometres. According to Demerara Waves online news, the Liza Phase 1 development includes a subsea production system and a floating production, storage and offloading (FPSO) vessel designed to produce up to 120,000 barrels of oil per day. Production is expected to begin by 2020, less than five years after discovery of the field. Phase 1 is expected to cost just over $4.4 billion, which includes a lease capitalization cost of approximately $1.2 billion for the FPSO facility, and will develop approximately 450 million barrels of oil. “We will work closely with the Government, our co-venturers and the Guyanese people in developing this world-class resource that will have long-term and meaningful benefits for the country and its citizens,” he said.